For £250 the Mammut Crater has a lot going for it. It’s made from standard Gore-Tex rather than the new Pro version, but that still offers plenty of breathability to keep you dry from condensation when hillwalking. The fabric’s quite robust as well, so it feels as though it can withstand plenty of abrasion against rocks during scrambles and does not deform too badly when battered by the wind. Get the jacket on and it’s noticeably longer in the body than many modern jackets, making it something of a rarity, and so it protects your groin and bum better. The sleeve movement is reasonably good too, so you can scramble without fear of the hem riding up too much. The front zip is exposed as per the current trend, but the zip is not as chunky as others we looked at and the internal flap is not as well-designed to funnel water down the jacket if the zip leaks. There are just two pockets but these are a good size and easily accessible, while pit zips aid ventilation. The hood doesn’t get a wired peak but it is stiffened, and the fit and movement were very good even when the face drawcords or main zip were not properly done up. 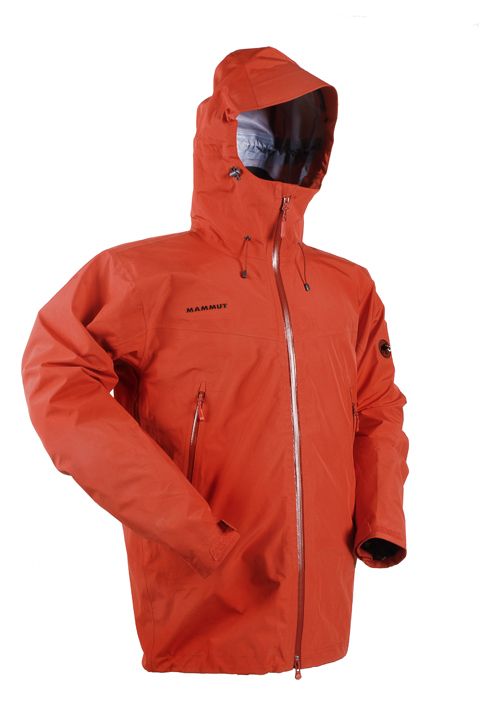 For the price the Mammut Crater is a great jacket; although pay a little more and you could gain a third chest pocket, a wired peak and reduced weight. The Mammut Crater is a great hill and mountain jacket for the price, though you do get slightly better features and performance if you can stretch your budget – but if this is your limit it is a winner.